As 2015 draws to a close, Random Acts is turning the spotlight on those who have done so much and who continue to support our staff, volunteers, and supporters alike: Our families. Whether related by blood or simply by a strong bond of friendship, there’s no better time than the holiday season to tell those who have affected us profoundly that we care. 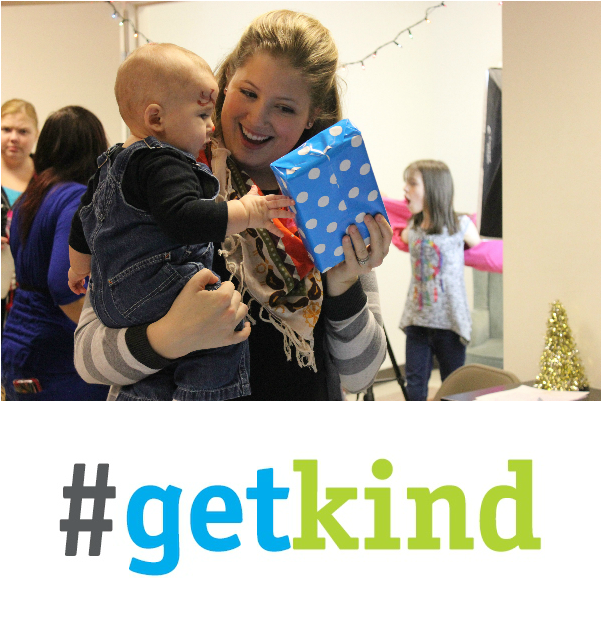 For all of us here at Random Acts, celebrating families through our official December #GetKind theme was the best way to make that happen. Plan an afternoon full of things that they love. Does your dad love backpacking? Does mom need a relaxing day away from work? Is your best friend a softie for adorable wildlife? Organize a hiking trip, a day of DIY pampering, or an outing to the local zoo, complete with warm tumblers of tea and holiday snacks, and give your loved ones the opportunity to enjoy their favorite activities. #GetKind together. Want to spend the holidays doing something meaningful while still having fun with those you love? 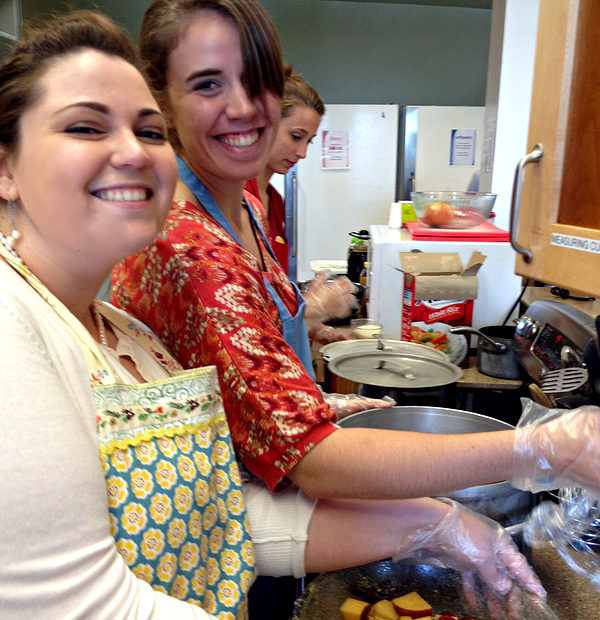 Check out ways you can donate time or resources in your neighborhood and make a day of it. 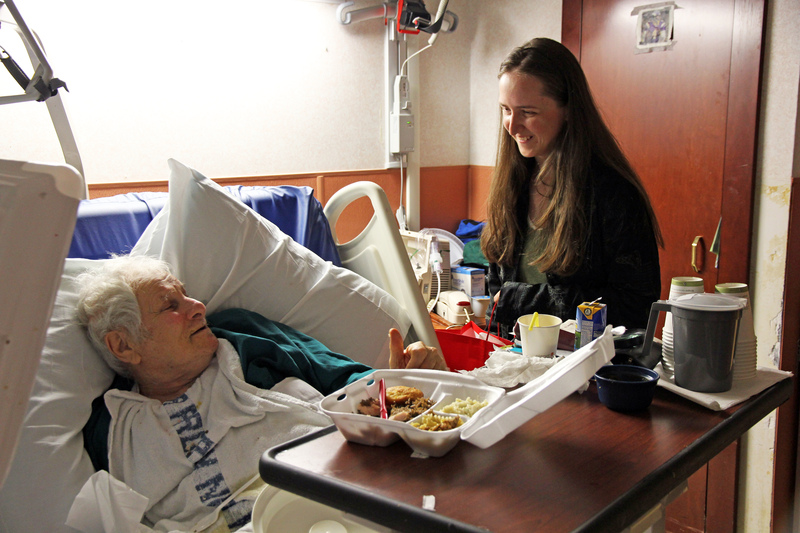 Caroling at the local nursing home and packing food pantry parcels for needy families with your cousins, your stepdad, or your dearest friends isn’t just helpful to the community — it’ll warm your hearts as well. Compile a photo album or scrapbook. Scrapbooking and photo boxes aren’t just for summer camp anymore: Head to the local craft store and pick up an affordable blank book or journal, then fill it with photos, ticket stubs, and whatever memorable items you can find. 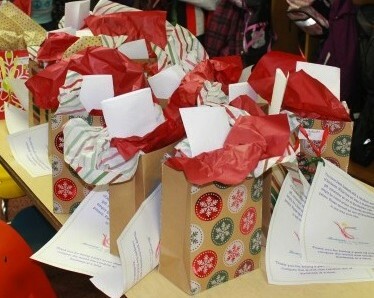 Gift-wrap and bow optional. Offer to help with unfinished projects. Is grandpa still struggling to finish fixing the lamp in the kitchen? Maybe your aunt needs help re-organizing her basement. Either way, lend a hand where you can — sometimes freeing up someone’s schedule is a bigger relief than you know. You can also offer to give rides to the store or work if they’ve been having car trouble (or if you want to help keep the earth green and happy)! Donate in their name. Find out what your family or friends’ pet causes are and donate what you can in their name. Surprise them with a photo or receipt of the transaction later (maybe throw in a candy cane too, to sweeten the reveal even more)! Make their favorite treat, cook a meal, or take them coffee. Simple gestures are never taken for granted and could make your loved one’s day that much better. Write a letter. Speaking of simplicity…. Sometimes a heartfelt letter is better than all the fancy holiday cards in the world. Let your friend or family member know what they mean to you and that you’re there if they ever need you. Decorate someone’s home, apartment, or cubicle with holiday decor! Love to decorate? Can’t get enough of all those fairy lights and strings of garland? Use leftover decorations from home or create paper chains and cut-out snowflakes, and get to work — your sister/brother/best friend won’t know what hit them (in the best way possible, of course). Shovel their driveway. If you live somewhere that gets a lot of snow in the winter, head over to a loved one’s house before they head to work (or after they’ve gone to bed) and start clearing their driveway or sidewalk. Feel free to make as many snow-angels and snowmen as you’d like while you’re at it. Offer to host a night in. A little downtime goes a long way for most people. Offer your home over the holidays for friends and family to stop in an visit as necessary. Bonus points for a crackling fire and hot apple cider. This season, show the people who have made you what you are that you’ve learned a thing or two about kindness from their examples. 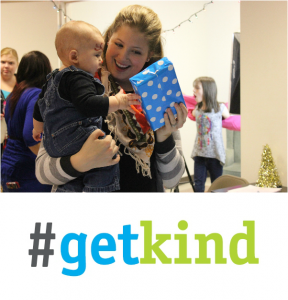 Let’s #GetKind for the world by starting at home. Happy holidays!